StoryFutures Academy Writers Rooms have been established to train writers and content creators for the immersive future. 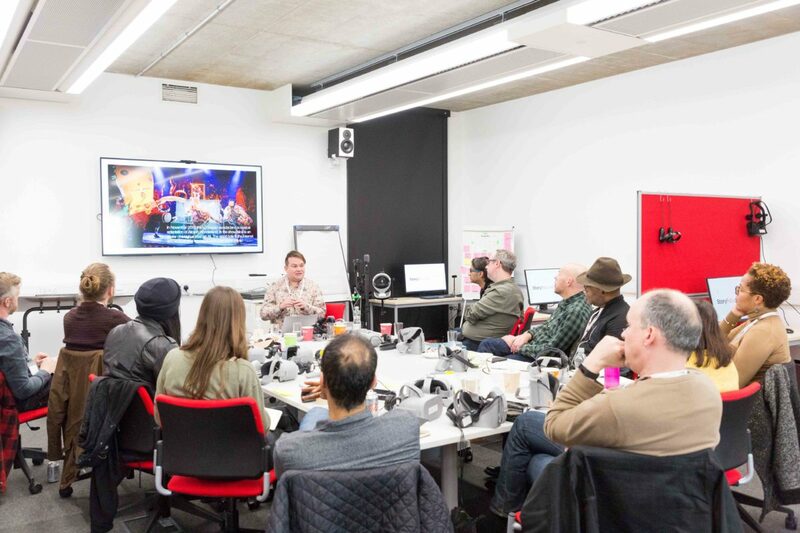 Writers Rooms will draw in writers and ideas generators from across sectors and disciplines to explore the possibilities of immersive technologies. We will expose participants to new approaches and understandings of story form, bringing together writers from traditional screen industries with appropriate collaborators with relevant skills in drama, technology and design. Writers Rooms will allow participants to work with our creative partner Punchdrunk. Most Labs will be call-driven, responding to a proven need or request for writers and content creators for a particular sector, approach or technology. Participants will have the opportunity to apply for StoryFutures Academy funding opportunities, and on set training programme and development and co-production schemes. To get started with Writers Room fill out our short expression of interest form.